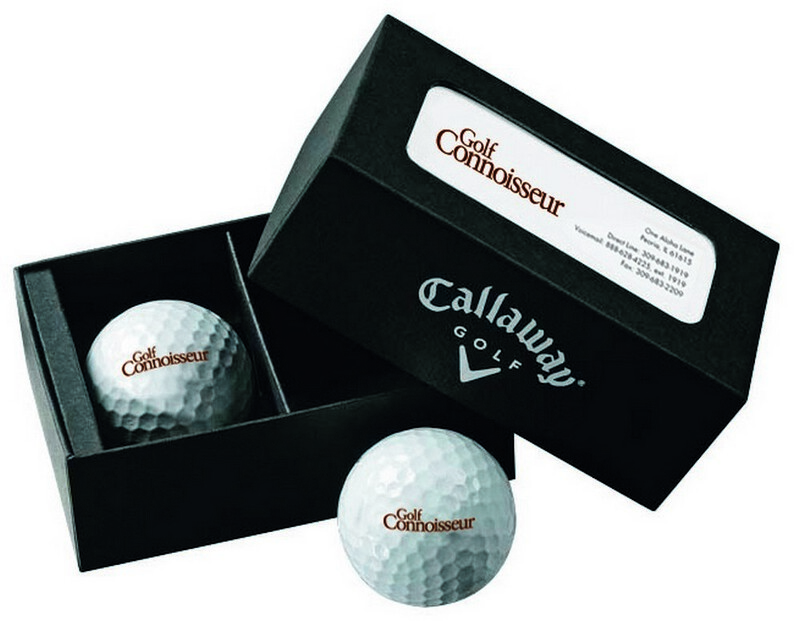 Our Callaway 2-Ball Business Card Box - Super Soft offers a convenient storage and access of business cards and is perfect for Business Swag, customizable with brand logo. The perfect promo item for your upcoming fundraiser or company event, our Callaway 2-Ball Business Card Box features card tabs to insert your promotion or business cards so as to effectively promote your brand or service. Made out of high quality linen, the box depicts your brand quality. This box comes with two logoed golf balls and offers custom printing ability on the balls. Ideal giveaway for golf outings, events and tournaments, this promotional product makes an interesting option for showcasing your brand logo and message.